‘Sussexdown’, this much loved Home, is situated just outside Storrington, West Sussex. It was acquired from the Royal Air Forces Association by Care South (a not-for-profit charity) in 2007. It still retains its aviation focus. Members of the Royal Air Forces Association and their families have priority over the availability of accommodation, but the home is available to members of other military organisations and the general public. The Royal Air Forces Association is a membership organisation and registered charity that provides welfare support to the RAF Family. Receiving no government contributions, their work is completely funded by the generosity of members and through vital donations from supporters in the general public and from businesses. The RAF Family includes all serving and ex-serving personnel and their dependants. To be eligible for welfare support, for both themselves and those who depend upon them, service personnel need to have served a minimum of one day in the RAF. Whether it’s an injured airman fighting to get back on his feet, a young child missing their parent away on overseas operations, or a World War II veteran needing a shoulder to lean on, the Royal Air Forces Association is there to help all generations of RAF Service personnel and their families. The Queen Alexandra Hospital Home is a remarkable institution with an inspiring history. When casualties in the First World War reached appalling numbers, the home was founded to care for those who were permanently disabled. The vision of Gladys Marchioness of Ripon, the Home was founded in 1919 in Roehampton through the generosity of the Charrington family. In an outstanding story of voluntary effort, people from all walks of life rallied round to help, including the Royal family and, in particular, Mrs Verena Hay, who devoted over twenty years of her life to bringing her friend Lady Ripon’s vision to reality. From the outset new standards of care were established. Long before the concept of the Welfare State, the Home pioneered medical and social care procedures that are taken for granted today. The first steps in physiotherapy and occupational therapy were followed by helping the residents to re-train and to find employment. In 1934 when the lease of Gifford House, in Worthing, was up, The Queen Alexandra Hospital Home moved from Roehampton and made its permanent home there. 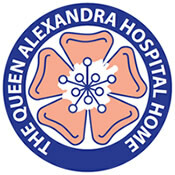 The Queen Alexandra Hospital Home is currently the only Hospital Home south of London which provides specialist nursing care for ex-Servicemen and women. They provide residential and respite care for ex-Servicemen and Women who require nursing care and rehabilitation and enable residents to live as independently and actively as possible in an environment that they can think of as their home. They adopt a multi-disciplinary approach towards the care and rehabilitation of their residents, including provision of Nursing Care, Speech Therapy, End of Life Care, Physiotherapy and Occupational Therapy. They are also dedicated to caring for residents’ emotional wellbeing through an extensive programme of internal and external social and recreational activities, cognitive and behavioural therapy and counselling. Having a proud history and extensive experience in high dependency nursing, they also include specialised rehabilitation of those with an Acquired Brain Injury (ABI). Residents from age 18 upwards are accepted and they have 60 beds for both permanent and short term respite care for two to four weeks at a time. Anyone who has served in HM Forces at any time or in any capacity and also immediate family members of someone who has served in HM Forces is eligible for admission to the Queen Alexandra Hospital Home. Haig Housing Trust, known as Haig Housing, was formed in 2008 as a ‘sister’ charity to Douglas Haig Memorial Homes. The two Trusts were amalgamated on 1st October 2013. Douglas Haig Memorial Homes, known as Haig Homes, was established as a Charitable Trust in 1929 as a memorial to Field Marshal Earl Haig of Bemersyde KT GCB OM GCVO KCIE in recognition of his work to highlight and solve many problems facing ex-Service people and their families. He was particularly concerned with the plight of those disabled during their service in theatres of War and the difficulties created by this in their civilian lives. The Trust had two main periods of expanasion in the 1930s and 1950s with further housing added during the 1990s and 2000s. 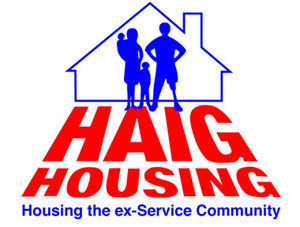 The object of Haig Housing is to provide housing assistance to ex-Service people and/or their dependants. Currently this object is achieved by letting general needs homes at affordable rents to the ex-Service community and providing tailored housing solutions to suit specific and individual needs of severely wounded and disabled Servicve and ex-Service people. Haig Housing also offers a wide range of housing advice to the Service community and is the Strategic Housing Partner of Help for Heroes. Haig Housing was established as a Charitable Trust in 1929 as a memorial to Field Marshal Earl Haig. He was particularly concerned with the plight of those disabled by their service in theatres of War and the difficulties created by this in their civilian lives. The Trust has over 1,300 properties throughout the UK which are a mix of family-sized houses, flats, maisonettes and bungalows; built mostly in the 1930’s, 1950’s and 1990’s. Some are subject to the nomination rights of the original service or regimental organisation which donated the funds for the building. The properties in Jersey are subject to residential qualification for the States of Jersey. The properties are generally on small, well managed estates ranging in size from about six houses up to the largest estate in Morden of over 270 homes and are located in 47 different local authorities. The properties are mainly for rental only unless they are under the Shared Ownership Scheme. Haig Housing does not have any sheltered, residential or nursing homes. The majority of homes are suitable for families and only a small number of properties are suitable for a single occupancy at Bristol, Haslemere (Hampshire), Morden and Woolwich (London). Some properties are suitable for the frail, elderly and people with disabilities. Headley Court, situated near the village of Headley, in Surrey, was originally an Elizabethan farmhouse, which was bought by the Chairman of the Bank of England, Lord Cunliffe, in the early 1900s, who then turned it into an imposing mansion. During World War II, it was the headquarters of the Canadian Forces in Europe. 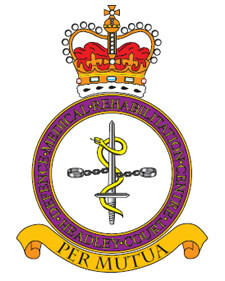 Since then, it has been used as a Royal Air Force and Joint Services medical rehabilitation centre, known as DMRC Headley Court (Defence Medical Rehabilitation Centre). Most of us associate Headley Court with soldiers who have lost limbs during action in Iraq or Afghanistan, but this is only one part of the rehabilitation carried out there. Members of the Armed Forces suffer injuries elsewhere – a motorcycle accident whilst home on leave, an injury during training, a stroke, spinal injuries, etc. Wounded service personnel are repatriated to the military ward at the Queen Elizabeth Hospital in Birmingham, where patients are operated on and brought to the point where they are strong enough to begin the process of rehabilitation. Then they go to Headley Court, where they might stay 24 – 30 months. In July 2014, the Minister of Defence, Philip Hammond, announced that the services provided by Headley Court would be transferred to a new centre to be developed at Stanford Hall, Leicestershire. The move is expected to be completed by 2018. The future of the buildings at Headley Court is in the hands of the Headley Court Trust. The Royal Alfred Seafarers’ Society in Banstead, Surrey, is a maritime charity. For over 130 years they have provided dedicated nursing care, as well as accommodation support to elderly, sick or disabled seafarers, their widows and dependants. 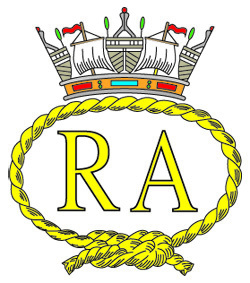 The Royal Alfred was set up primarily as a charity for seafarers, offering them accommodation and nursing support. They have built on their expertise over the years, adapting with changing times and what their residents most need from them. Today they offer a full range of nursing care, dementia care, residential care, and sheltered flats. They also now offer more specialised dementia care, following completion of their new annexe in July 2011. They pride ourselves on offering seafarers a safe haven, particularly in old age, illness or adversity, but they feel the same about anyone facing the same challenges and seeking somewhere they can live peacefully and comfortably, with as much or as little practical help from them as they require. Non-seafarers are welcome and respite care is also available. Their flagship residential and nursing care home, Belvedere House, together with sheltered flats, is situated within the idyllic grounds of the Weston Acres Estate, near the rural village of Banstead, Surrey. The surroundings also make the site ideal for respite care. The Society was established in 1920 after Havelock Wilson, the founder and president of the National Union of Seamen (NUS) recognised that there was a need to provide help for merchant seafarers. He campaigned and highlighted awareness throughout the country, successfully raising funds, gaining the support of one main benefactor, Mr Henry Radcliffe, who was a shipping company owner. The first building they acquired that was suitable as a convalescent home was Limpsfield, Surrey. In 1920 the Henry Radcliffe Convalescent Home was opened by the Duke of York and so the society was born. The Merchant Seamen’s War Memorial Society was effectively the fund raising arm of the charity and they worked tirelessly to secure funds to run the home. Following World War II the people of South Africa collected a large sum of money and gave it to the NUS with the instructions to build a living memorial to those seamen who gave so much to keep the shipping lanes open during the conflict. Sachel Court in Alfold, Surrey had been leased during the war by the NUS and it decided that the building and the surrounding area was an ideal place to set up memorial. In 1947 Sachel Court became the new home of the Society, and was named Springbok. As well as a convalescent home the Society also embarked on a training scheme for seafarers in both horticulture and agriculture. This ran successfully until 1993 and thousands of seafarers were retrained into another industry. 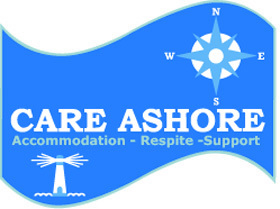 Today the Society now known as ‘Care Ashore’ continues to offer support to seafarers and provides both sheltered housing with support, plus holidays. Anyone who has served in either the Merchant and Royal Navies, plus the fishing fleets may apply for accommodation or a holiday. The Star & Garter Committee was established in 1915 under the auspices of the British Red Cross Society to care for the severely disabled young men returning from the battlegrounds of the First World War. It was Queen Mary who first expressed concern for the future of these young men, and Her Majesty charged the British Red Cross Society with the task of finding a ‘permanent haven’ for them. The Auctioneers and Estate Agents Institute purchased the old Star & Garter Hotel on Richmond Hill and handed the deeds to Queen Mary who, in turn, entrusted the building to the British Red Cross. 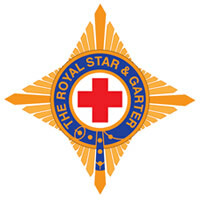 The Star & Garter became an independent charity in 1922. In 1979 HM The Queen commanded that the Home would in future be known as The Royal Star & Garter Home, and on 26 June 1990 the Charity was granted a Royal Charter. The Royal Star & Garter Homes has had a long and rich history but has always remained true to its philosophy that ‘ there is no such thing as a hopeless case’ and all the residents, now and then, are cared for with support and therapy. The first 65 residents admitted in 1916 were an average age of 22. Some were able to return home, while others were helped to live fulfilled lives for many years. The Second World War brought more young men into the Richmond Home and a special paraplegic ward was set up under the direction of Dr Ludwig Guttman, founder of Stoke Mandeville Hospital. Dr Guttman’s pioneering techniques aimed to get patients moving, working and playing sports again. The first ‘Paraplegic Games’ in 1948 included an archery competition between teams from the Star & Garter and Stoke Mandeville; the Star & Garter is proud to have won that year and again in 1949! The purpose-built home was specially designed by Sir Edwin Cooper and funded by the British Women’s Hospital Committee under the auspices of Queen Mary. It was Her Majesty, along with King George V, who opened the new home in July 1924. The Charity continued to benefit from its royal links and operated within the magnificent building on top of Richmond Hill until 2013 when they were no longer able to provide the specialist care the residents needed and so a state-of-the-art Home was built in Surbiton. With 21st century medical advances, more Service people are, thankfully, surviving injury into older age, which means The Royal Star & Garter Homes has adapted to meet changing care demands. With the increased need to provide 24-hour nursing and respite care within a homely environment, particularly for those living with dementia, the Charity has begun a programme to build new, purpose-built modern homes that can provide truly ‘person-centred’ care. The history of St. David’s Home takes us back to 1819 when the Duke of Kent, on the birth of his daughter – the future Queen Victoria – attempted, albeit unsuccessfully, to sell Castle Hill Lodge, his country house near the village of Ealing. One hundred years later the property was again on the market but this time it was the purchasers who were experiencing the difficulties. However, after some extraordinary occurrences, these difficulties were overcome and Kent House became St. David’s Home. Situated at Castlebar, formerly known as Castle Bear Hill, the long house, with a four-columned central portico, commanded a fine view over pastures and woods towards the distance outline of Harrow. In 1914, Lady Anne Kerr’s youngest son, David, aged 21, was killed while serving with the Royal Scots. In the ensuing years the thought was always in her mind of finding some way to alleviate the sufferings of those who, though having survived the war, were wounded and maimed. The first and most urgent need was money. Lady Anne pursued an active campaign, writing to friends, acquaintances and the Press. A concert raised £500 and donations started to come in. Thus it was that in September 1920, six Sisters of Charity, together with Ma Soeur Howard, (Lady Anne’s sister, Lady Etheldreda), took over the very primitive conditions then prevailing. The ground floor rooms of the house became make-shift wards and so were the original stables, where above each bed was an iron ring to which the horses had been tied. The old hay lofts above, reached only by an outside ladder, served as the Orderlies’ quarters and the coach-house, divided in two, was used half for the laundry and half as a mortuary. A short flight of steps at one end of the ‘stable ward’ led down to a small furnace which heated water for baths and washing-up. The cobblestones in the stable yard were far from ideal for wheelchairs. A number of changes took place over the ensuing years and gradually the Sisters of Charity handed over the running of the Home to the Board of Trustees. In 2002, the Order decided to close the convent and the remaining sisters left to minister elsewhere. As a result, the convent area was eventually transformed into the present unit for rehabilitation purposes. Now known as the John Poland Rehab Unit, it comprises of seven flatlets with facilities for cooking, washing etc. Situated on the ground floor is a well equipped Physiotherapy room available for all the residents at St. David’s. They provide vision impaired Armed Forces and National Service veterans with the person-centred services and tailored support they need to discover life beyond sight loss. 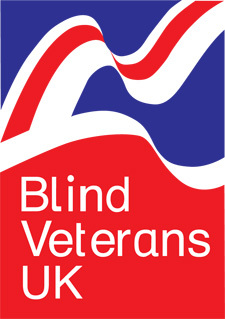 Blind Veterans UK’s work ranges from helping veterans relearn vital life skills and providing them with the tools they need to be independent in their own homes, to offering new learning, training and recreation opportunities and providing long-term nursing, residential and respite care. Sir Arthur Pearson, who owned the Evening Standard and founded the Daily Express, established Blind Veterans UK in 1915. Having lost his own sight through glaucoma, he was shocked at society’s attitude to blindness. He decided to help those who had lost their vision in the First World War by giving them the care and rehabilitation they needed to lead constructive, self-sufficient lives. A century later, Blind Veterans UK not only cares for ex-Service men and women blinded in action, but for veterans who have lost their sight through accident, illness or old age. They have three centres (in Brighton, Llandudno and Sheffield) that provide residential and respite care plus sports facilities, as well as qualified welfare staff who help blind veterans across the UK to live independently within their own communities. The 'Lest We Forget' Association, 5-B Longdown Road Epsom Surrey KT17 3PT. Registered Charity Number: 1162122.